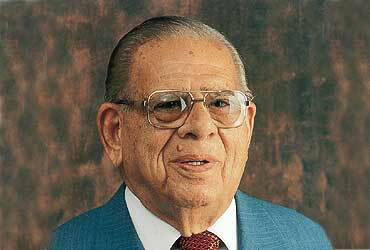 Mohan Singh Oberoi can be rightly called as the father of the Indian hotel industry. It was he who recognized the prospect of the tourism business, how it would be able to help in the economic growth and be able to create employment directly or indirectly. 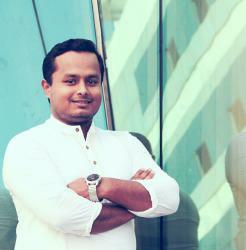 He worked very hard in order to make a place for the Indian hotels in the global map. Mohan Singh Oberoi’s birth was in a place which now lies in Pakistan. He was born on the 15th of August 1891. He studied in Rawalpindi and did his bachelors from Lahore. When the plague broke out he left Pakistan and came to India. Here he worked as a clerk for a hotel in Shimla at Rs 50/ a month. Mohan Singh was a keen learner and took care of other responsibilities too apart from the clerical work. Mr. Clarke requested Mr. Oberoi to be his assistant when he took over the Clarke Hotel due to his industrious nature. Here Mr. Oberoi learned everything about the hotel industry from Mr. Clarke. In 1934 by keeping his wife’s ornaments as mortgage he took over the Clarke Hotel from Mr. Clarke and in 1938 took on lease Grand Hotel which is in Kolkata which was about to be sold due to an epidemic outbreak. He soon became the 1st Indian to have the biggest and best chain of hotels. It was in 1959 that they 1ststarted serving food for flights in India. The 1st 5 star and modern international hotel, the Oberoi International were opened by Mohan Singh in Delhi. He also opened Oberoi school of Hotel Management in 1966 which was acknowledged by IHA Paris. The Oberoi Sheraton which is 35 stories was opened in Mumbai in 1973 and he was the 1st to keep women as employees in this sector. Oberoi Group now has 37 luxury and best international hotels in 7 countries. He got Rajya Sabha seat twice. He has many awards and honors to his credit. He died on 3/5/02 and was one hundred and three years at that time.